Dragon Veins یا Sun Stones? Sea Sediment Jasper یا Solar Quartz? Which of my سب, سب سے اوپر 5 gemstones is your favorite? Which of these minerals do آپ like the most? Which labradorite pic do آپ prefer? Today's gift market is inundated with all sorts of ideas (all sorts of products) and one could take the easy way out سے طرف کی buying ہوم electronics, clothing, perfumes and so on. However, does such a present possess that highly sought originality? Apparently not! Birthstones have been around since ancient times, and in those days were believed to possess some magical force that could protect the owner یا wearer of the stone. These birthstones were traditionally linked to the Zodiac. 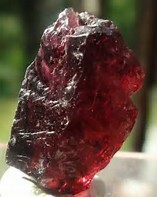 However, modern birthstones are linked to calendar months, and each ماہ has its own unique birthstone, with its own fabled properties. Many people love to wear jewellery set with their birthstone, as the ancient meanings and associations with these stones still intrigue them. a poll گیا دیا کر شامل: Dragon Veins یا Sun Stones? a poll گیا دیا کر شامل: Sea Sediment Jasper یا Solar Quartz? a poll گیا دیا کر شامل: Which of these minerals do آپ like the most?